Regular readers of this column may remember our friend Dr. Charles Buzzanell, the anesthesiologist who was known to ramble incoherently into the phone when the hospital called him at home about problems with a patient. Sometimes he'd remember to show up on those occasions. Other times, he'd "forget." For years, I've warned that it was inevitable that Buzzanell would kill again. I begged the North Carolina Medical Board, the body that is supposed to police the state's doctors, to stop him and others like him who I've named. Unfortunately, Janice Absher Moraleda Almitairi of Charlotte apparently didn't get a chance to read those columns before she drove to Buzzanell's Asheville office in April 2004. She was supposed to have what should have been a simple in-office procedure to adjust the delivery of pain medication to her spine, which helped her cope with pain left over from a car accident. Almitairi went into cardiac arrest, was transported by ambulance to the hospital and returned home in a casket. Her death is just now coming to light now because Creative Loafing spent more than one year investigating it. You won't find Almitairi's name in Buzzanell's public files at the medical board. But you will find the tale of another patient who died at Buzzanell's hands during yet another relatively simple surgery in September 2002 involving an adjustment to a small pump that delivered medication to the patient's spine. Buzzanell didn't bother to mention the complications that occurred during the procedure to anyone. When the odd circumstances surrounding the death attracted the attention of the county medical examiner, who was considering an autopsy on the patient, Buzzanell didn't tell her the truth either, and an autopsy was never performed. None of this is Buzzanell's fault, the medical board decided, because he has Attention Deficit Disorder. While lying and rambling incoherently aren't widely accepted by the medical profession as symptoms of ADD, the way the North Carolina Medical Board saw it, as long as Buzzanell gets treatment for his "illness," he wouldn't be a danger to his patients. Either that or they just didn't give a damn about his patients. Though Buzzanell voluntarily surrendered his medical license after the 2002 incident, one year later the medical board allowed him to return to practice conditionally. In return, Buzzanell signed an agreement that he would continue treatment for his "illness" with therapists and support groups and limit the hours he practiced to less than 40 a week. Buzzanell would be allowed to use potentially lethal medications to sedate people on a daily basis. And if he had an incoherent moment here and there, forgot to take his Ritalin or fibbed to another medical examiner? Well, he can't be blamed for that, can he? Apparently not. Seven months later, Almitairi went into cardiac arrest in his office. Nine months after that, the board restored Buzzanell's full and unrestricted license. So which was it? Had the medical board "missed" another patient death by Buzzanell during a probationary period in which they were supposed to be closely supervising him? Or were they aware of Almitairi's death but decided to ignore it? Either possibility is patently disturbing, but we'll never know, because the board's spokesperson declined to comment on Almitairi's death. Despite Frances Lynette Miracle's multiple visits and complaints about the lump in her breast in 2001 and 2002, Dr. William Mark Riddle and Dr. Kenneth Lee Jacobs at the Goshen Clinic in Duplin County failed to diagnose her breast cancer or refer her to a specialist. By the time she visited an oncologist, the cancer was incurable. The board has long been of the opinion that drug-addicted doctors and those who sexually abused their patients need only a few months of psychological counseling to return to practice. And the board usually only takes serious action when embarrassed into it by media coverage or the arrest of problem doctors by law enforcement. A string of unpublicized, suspicious deaths is usually not enough to motivate the board to do much. Somewhere in the pipeline between the hospital and the medical board, deaths like Almitairi's are falling through the cracks. There may be hundreds. What's wrong with the medical board? By state law, the governor must appoint as physician board members only doctors who are "elected and nominated by the North Carolina Medical Society." 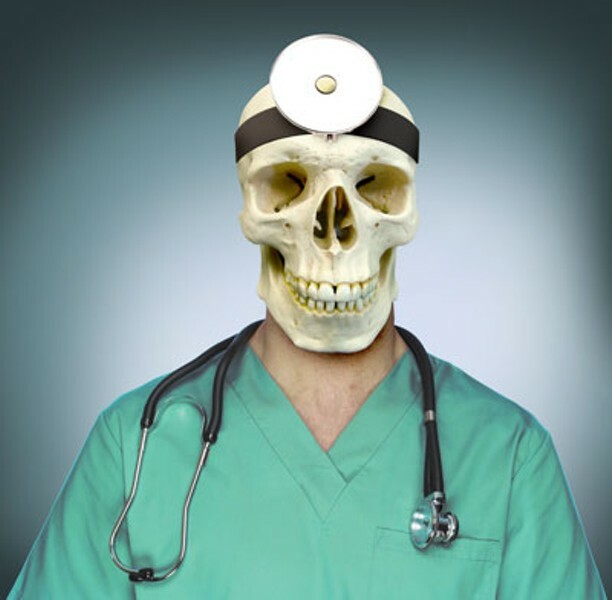 The medical society functions as a doctors' trade group with a political arm, and its purpose is to serve the interests of doctors, not to protect patients. "You can't have a trade association controlling the appointments to a professional regulatory board," says Burton Craige, a Raleigh attorney who represents the plaintiffs. "That's a conflict of interest." While the state licenses doctors as it does many other professionals, it turns enforcement over to a private, self-interested entity. Every couple of years, a battle over this breaks out in the legislature. Inevitably, the powerful medical lobby stops legislative efforts by doctors and patient advocates to restructure the medical board, and only cosmetic changes are made. It's about time someone stood up to the board. Let's just hope this lawsuit winds its way through the courts before Dr. Buzzanell kills again.